In a world full of the internet-geeks, survival becomes almost impossible for businesses without a strong online presence. This demand for online existence persuades many business owners to look for the best web design company. But getting the right IT firm isn’t easy! Lots of research, phone calls, emails and discussions are involved. As your business depends on the website, you’d never want to take a chance. 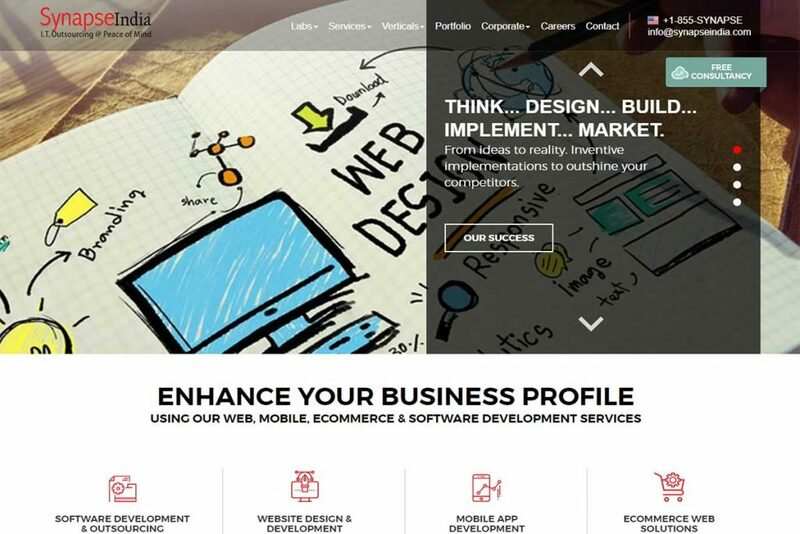 Considering your hassle while searching for the web design company in India, we have listed top 10 website development companies which can be immensely helpful for you as a business owner. Being one of the most reliable offshore IT companies in India, our knowledge and skills help us listing these companies. We know exactly what you want and what they provide and whether a company is worth employing. In this article, you are going to discover the top 10 Indian IT companies that can build a strong online presence for your business. So, let’s move forward. Before proceeding to the companies, we would like to convey that the order of the listed companies has no relation to their expertise, skills or professionalism. The list has been made according to our viewpoint to make it easier for you to search. You are requested to conduct proper research on your end as well to make sure you are availing the right company. Intlum Technology is running for more than 8 years as of now. From the day of its establishment back in 2010, Intlum has shown massive advancement in terms of quality, creativity, and use of technology. They possess separate teams of creative designers, tech-savvy developers, and profound digital marketers who write the success story of Intlum and each business that take help from Intlum. In the last few years, Intlum has risen astoundingly by helping ample of businesses who want to create a strong impact on the digital commerce. Moreover, the company is also the expert in cloud software development, mobile application development (hybrid and native) and web hosting services. The company has expertise similarly in the mentioned fields which make them a one-stop solution. 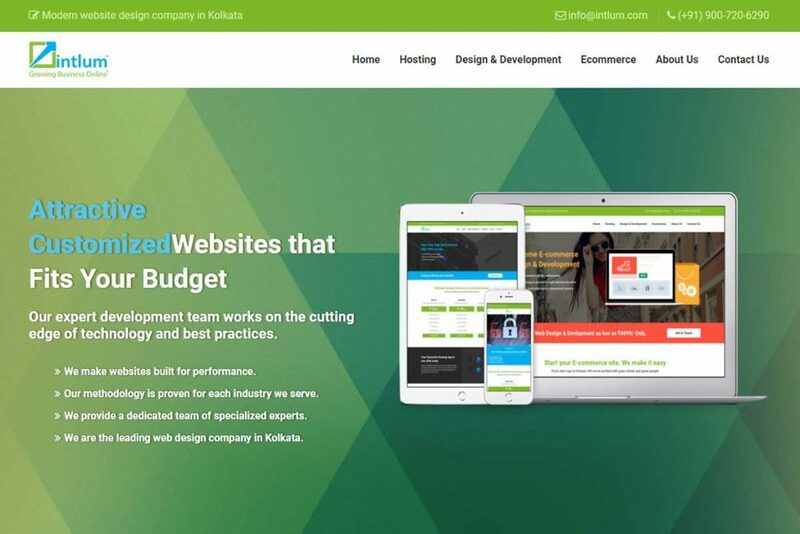 Intlum is one of the few website development companies in India which pay equal attention to every project from the startups, mid-sized companies, and large fortunes. The affordability, care for clients and paramount level of service make them an assured entry in the list. Top Clients/Portfolio: Ezey Shop, Eastern Railway, UIF, Layerpoint, GizMaze, TestBook, etc. 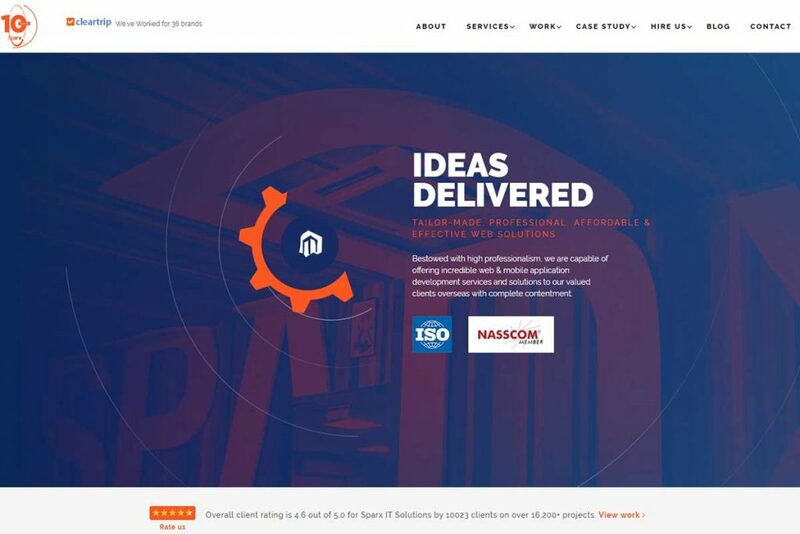 Mandy Web Design effortlessly comes to the list of the top 10 web design companies in India with its awesome services and great team strength. The company claims to be the best web designers and somehow manages to be one of the best. It focuses on various programming languages like Laravel, CodeIgniter, WordPress and much more. 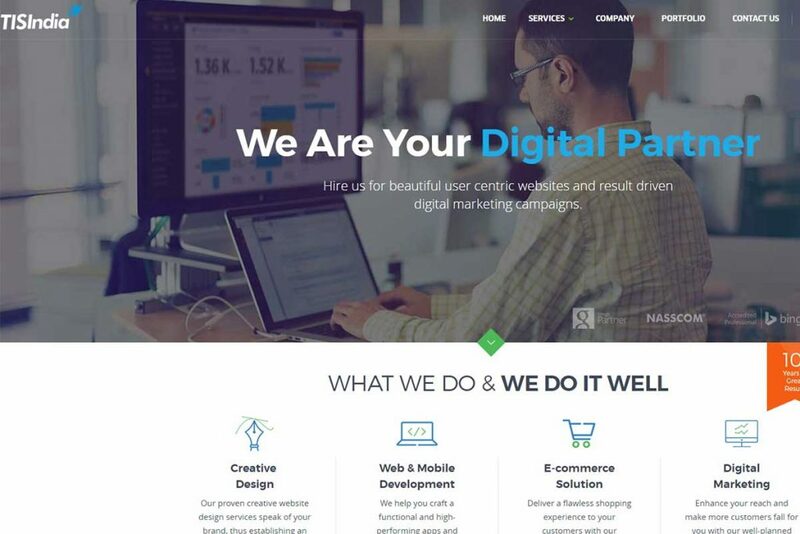 Mandy Web Design pays a lot of attention to the Search Engine Optimization (SEO) and the company’s founder/CEO Mandeep Chahal also comes from the SEO background. Top Clients/Portfolio: K3 Video Production, Buster & Whiskers, Kaderidge, AccZoo, Movie Phones, etc. When it comes to the top IT firms in India, IndiaNIC is a name that automatically pops up in mind. The company is a hub of web and mobile app development services in India with a great list of clients. Moreover, IndiaNIC shares its expertise in mobile and console games, VR apps, IOT, and wearables as well. This particular web and app development company offers its service to the startups, small businesses, and enterprises. 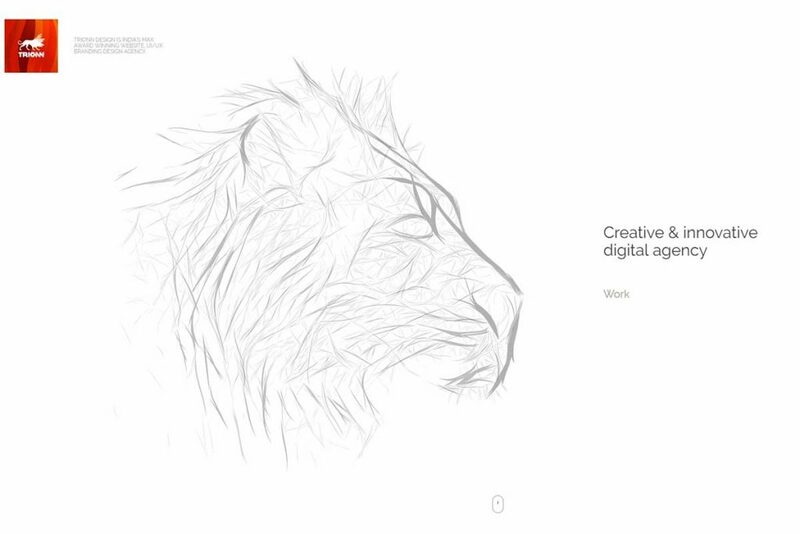 Top Clients/Portfolio: Adidas, Yahoo, NDTV, Pepsi, MBLoads, etc. WebGuru is a complete package when the topic revolves around best IT firms. This very Kolkata based web design company is one of the oldest in the area. WebGuru has been working as a pioneer of offshore IT projects in Kolkata from the very beginning. 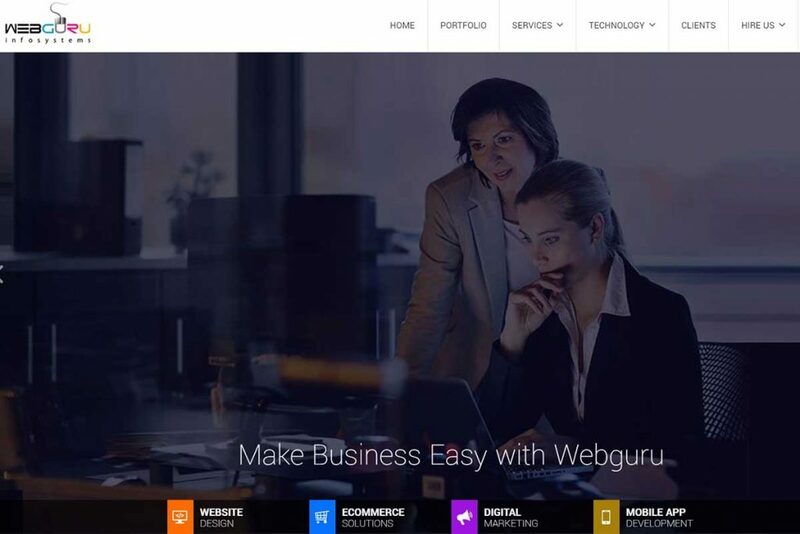 We have not included WebGuru in our article of top 10 web design companies in Kolkata just for the fact that the company is focusing more on the overseas projects. Top Clients/Portfolio: Jadavpur University, Exclusive Coins, Sow & Reap, InfoTec Communication, etc. 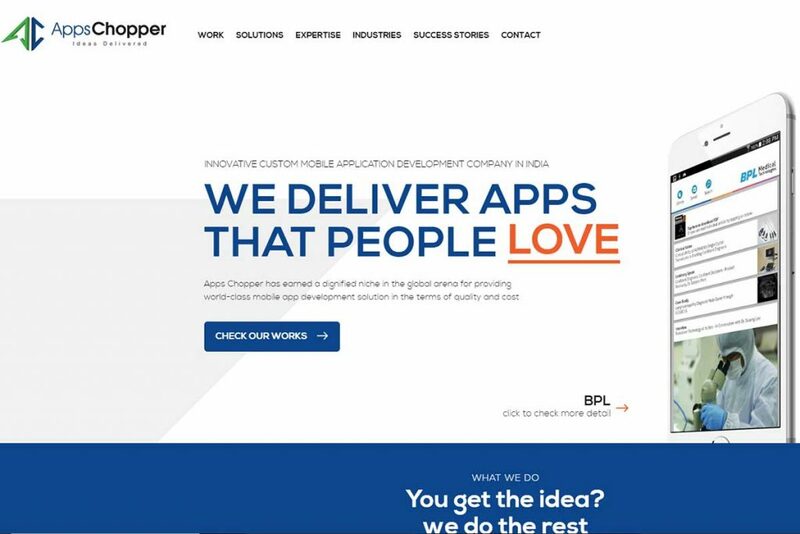 If you are in search of an app design and development company in India, AppsChopper would be the most viable destination which entirely focuses on the app development. This dedicated nature is the reason we have included it in the top 10 IT firms. This dedicated approach also brings them the glory to deliver awesome applications to some of the biggest companies across the world. So, if you have an application in mind, make sure you are contacting AppsChopper to turn it into a reality. Top Clients/Portfolio: Fifo Life, Order Here, Cheqdin, Bellybump. Poetoo, etc. TIS India claims to be a digital partner of the businesses requiring web solutions. This company is also a hub of various web-related concerns you are going through. From the web development to app development, this company is filled with loads of services you will require establishing your online presence. Other than the development part, TIS India is focused on digital marketing which means they would be the best destination to do the SEO, SMO, PPC and various online marketing jobs. Top Clients/Portfolio: Tour HQ, Sunnect Solar, Educabras, Ciceknet, Shoprite, etc. Trionn Design is one of the most popular companies when it comes to creative designs. 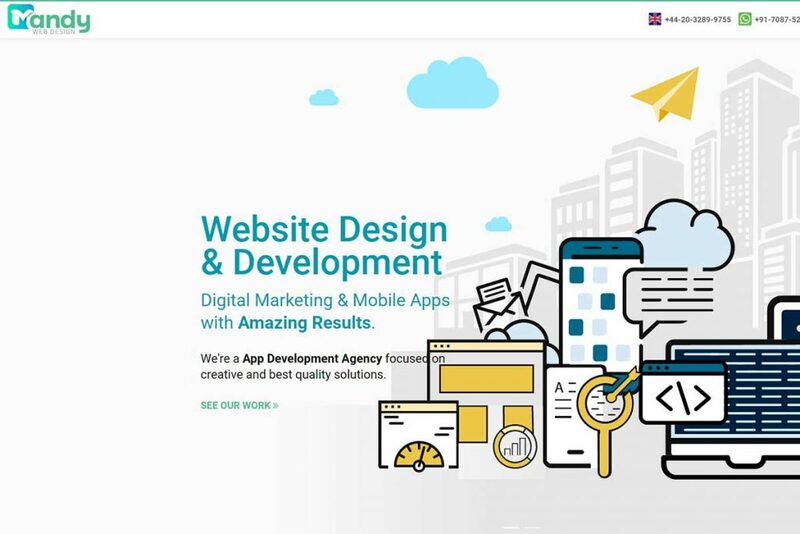 The company’s focus on creativity in terms of web design and graphic design has induced us to enlist Trionn in the top web design companies in India. 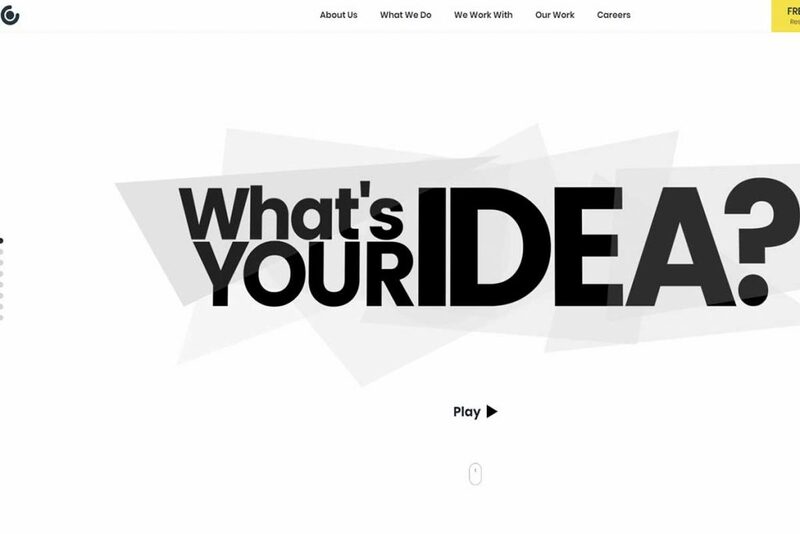 According to the web design firm, they have a sturdy grip on web interface design and iOS app design. If creativity is your concern, Trionn can be the place you would certainly want to land on. Top Clients/Portfolio: Acuterays, One by Zero Design studio, Chamber of International Commerce, Urban Tiling, etc. Beard Design is a team of young enthusiasts who possesses immense knowledge about design and branding. Thus, if you require any sort of online branding for your business, Beard Design can be a trustable destination. The company pitches itself directly to the startups which makes them a solution to smaller firms. Brochure design, magazine cover and various other jobs can find their solution in Beard Design. Top Clients/Portfolio: Chumbak, Studio 11, Veserv, Room One Theatre, etc. This very company comes with tons of services in web design, development, app development, software development, cloud computing, Microsoft programming, eCommerce development, and game development. The list of services will be left undone if we try to mention all! Thus, when it comes to the top 10 web design companies in India, SynapseIndia appears as the all-in-one solution that never compromises with its quality. Top Clients/Portfolio: PayPal, Audi, Apollo Munich, Microsoft, Johnson & Johnson, etc. From the mid-size businesses to large companies, when it comes to the IT services, Sparx IT Solutions provides every required solution. Their expertise and creative touch they add are rare to find in any other IT firm, according to Sparx. Prashant Singh Sengar, CEO of Sparx IT Solutions, claims to provide stirring and pioneering web solutions to the business that seek the online spotlight. Top Clients/Portfolio: Ganges India, Wealth Fund, Interlink Pro, Cleartrip, Smak, etc. 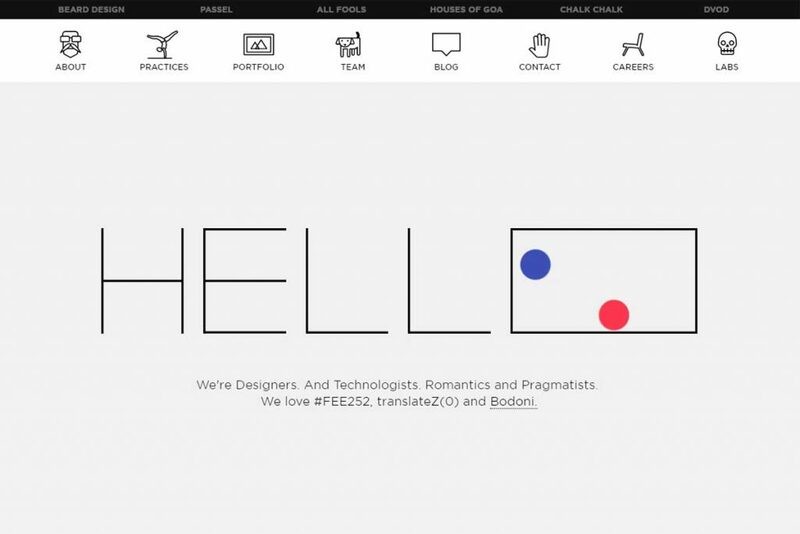 Here ends our list of top 10 web design companies in India. Now, the only thing left behind is to notify you why Intlum is different from the rest. Why Choose Intlum over the Rest? Use of latest technologies to deliver the best. One-year free technical support to fix bugs and other glitches. Top-notch services at reasonable price. Custom development meets any need of a business. If you find any other company deserves its place in this list, you can write us back with enough information about the particular company. Moreover, if you think any information provided in this article is inappropriate, feel free to let us know and correct us.